Vientiane, the capital of Laos, is a cool little city, with great food along the Mekong River, and plenty of sights to keep one occupied for a few days. 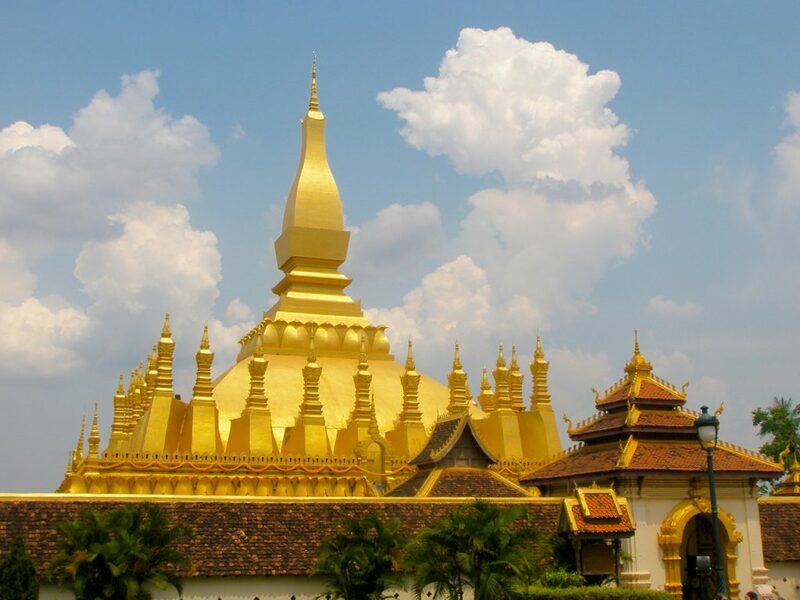 There are several Buddhist shrines, temples, and monuments- the most impressive being Tha Phat Luang- along with a handful of other monuments and museums to visit. 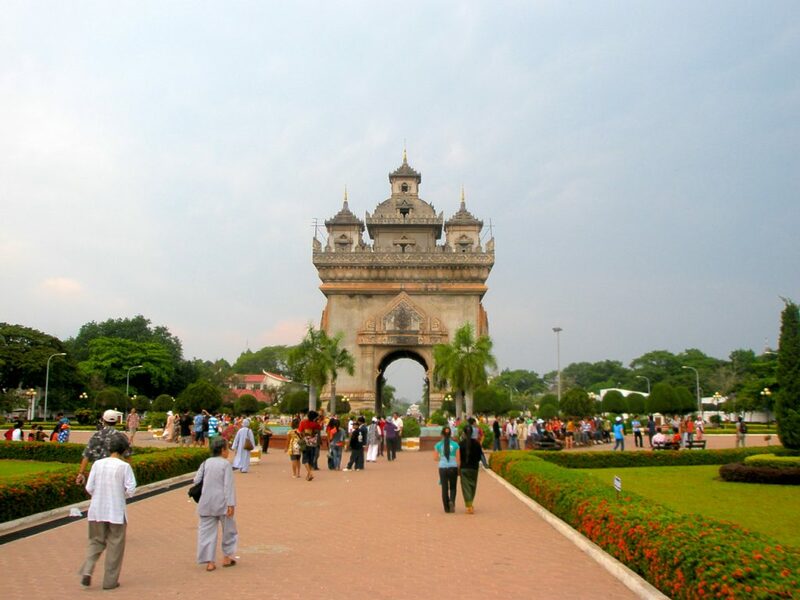 Vientiane is serviced by the Wattay International Airport, so it is possible to fly into the city. Buses run from other local areas daily, and there are long-distance buses that can get you to Vietnam and Thailand from Vientiane. Dine along the Mekong River- open air restaurants are the rule along the banks of the Mekong, with loads of fresh fish and other local delicacies on offer. Get some culture- visit a few of the various religious and historic sites in the city. Tha Phat Luang, Patuxai, and Wat Si Muang are three of the most impressive. 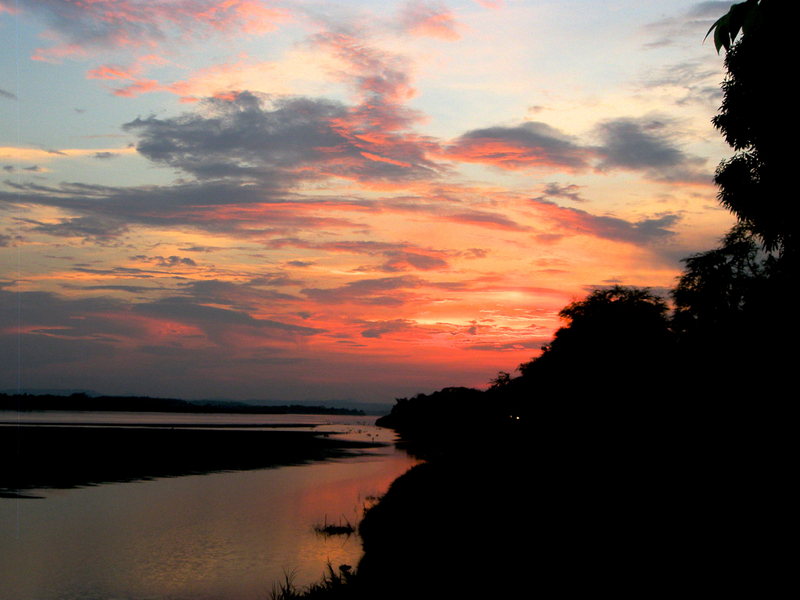 Sundowners over the Mekong- There are several bars along the banks of the Mekong, perfect for an ice-cold BeeLao set against the beautiful Lao sky. Hit the town- Vientiane has a happening scene, you just have to know where to find it. Ask at your accommodation about what’s around your area, and get amongst it. If you’re in Vientiane (or anywhere in Laos, really) during the annual New Year Water Festival (April 13-16), you will get wet. Very wet. Leave any electronics in your room, wear clothes that can get wet, and embrace it. Trust us, there is no use fighting it- you will lose, you will get drenched, and you will be mad. Instead, get into the festival with the rest of the locals- it is GREAT fun. If you’re flying to your next destination, get to the airport early, as the security lines are unpredictable. Negotiate the price of your accommodation. As with most other places in SE Asia, almost everything is negotiable.